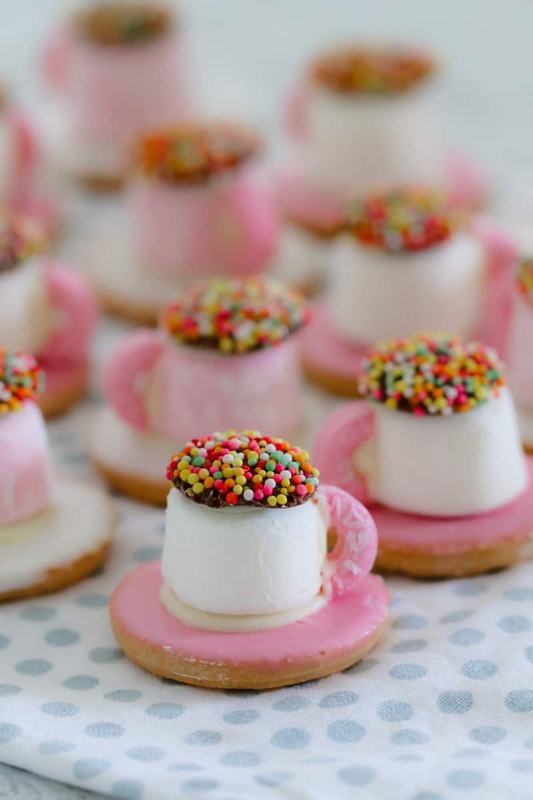 The cutest Tic Tic Tea Cup Biscuits made from Tic Tocs, marshmallows, Freckles and musk Life Savers… includes a step by step guide to make these kids party food favourites! 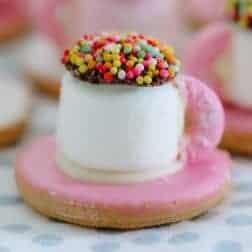 Can I start off by saying that I absolutely LOVE these Tic Toc Tea Cup Biscuits! 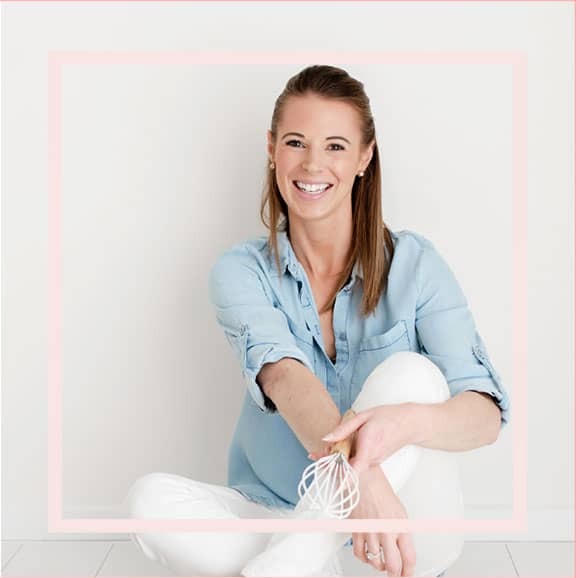 For years they’ve been my go-to recipe for kids parties, baby showers, class parties etc. Not only are they super easy, they’re also super cute. Win win! 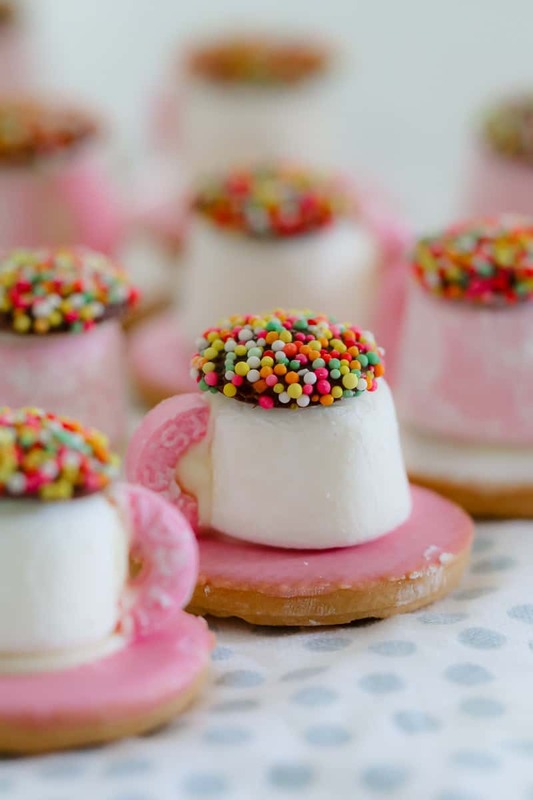 To make these gorgeous little tea cups you’ll need a packet of Arnott’s Tic Toc biscuits, marshmallows, Freckles, musk Lifesavers and melted white chocolate. Start off by placing all of the biscuits onto a flat tray. 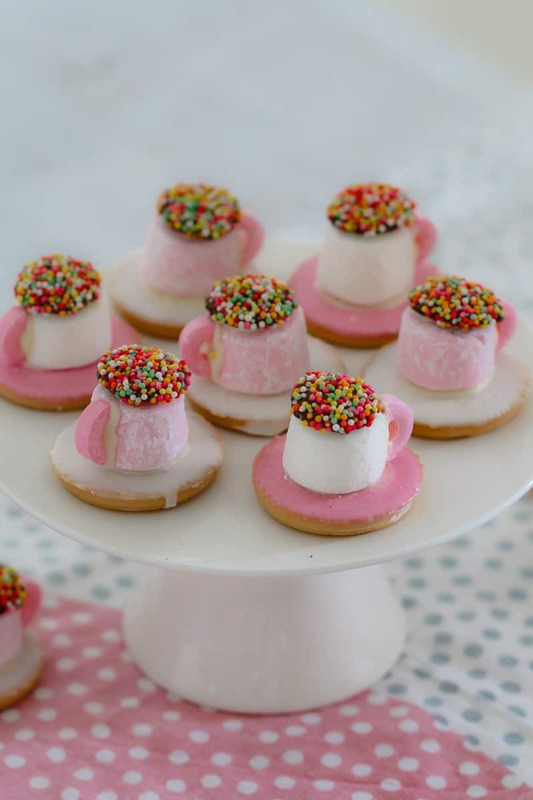 Place a small amount of melted chocolate onto the middle of each biscuit and top with a marshmallow. Repeat with melted chocolate on top of the marshmallows and finish with a Freckle. Cut the musk Lifesavers in half and dip the edges in the melted chocolate. Place onto the side of the marshmallows to form the handles. And that’s it! So simple, right! 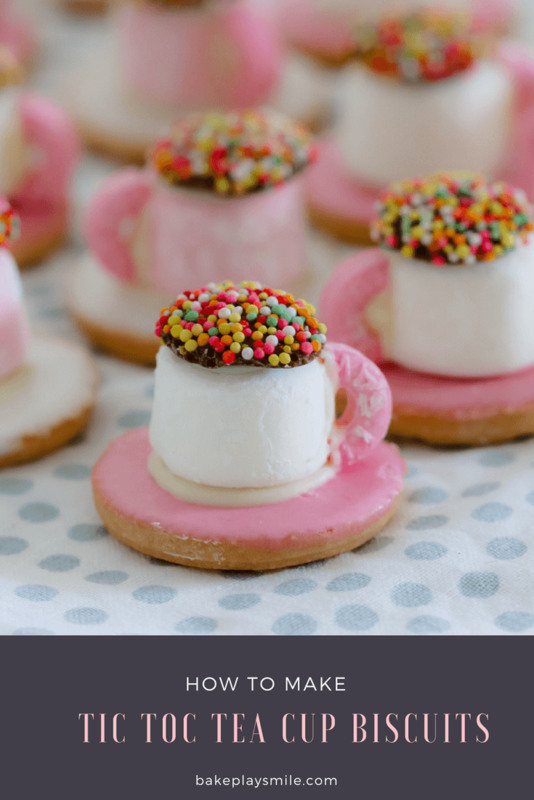 If you’re making these Tic Toc Tea Cup Biscuits ahead of time, you can store them in an airtight container at room temperature for up to 5 days (which is great if you’re trying to get organised and avoid the mad rush on the day!). And there you have it.. a simple guide for how to make Tic Toc Tea Cup Biscuits! I hope these make your next party or baby shower just that little bit cuter!! For more great party food ideas, check out these Tiny Teddy Racing Cars, Surprise M&M Cupcakes and my Cookie Monster Bark! 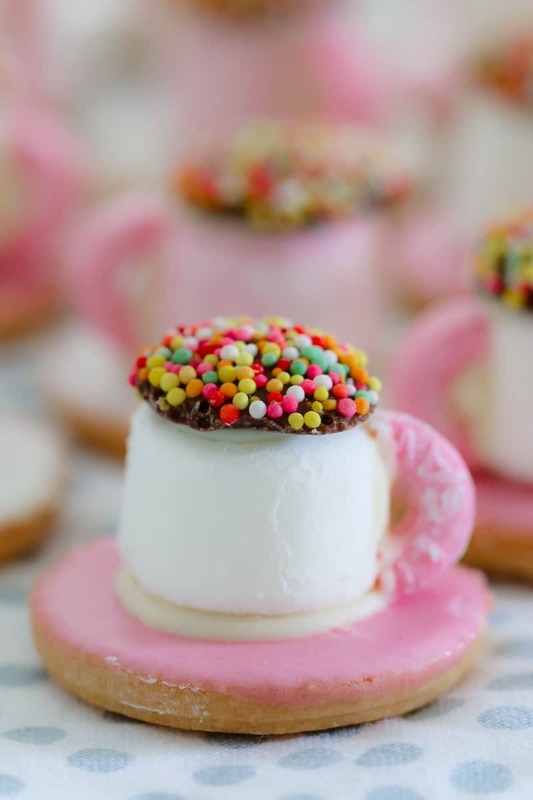 The cutest Tic Tic Tea Cup Biscuits made from Tic Tocs, marshmallows, Freckles and musk Life Savers... includes a step by step guide to make these kids party food favourites! Place all of the Tic Toc biscuits (approximately 28) onto a flat tray or board. Place a small amount of melted white chocolate into the centre of each biscuit. Place a marshmallow on top. 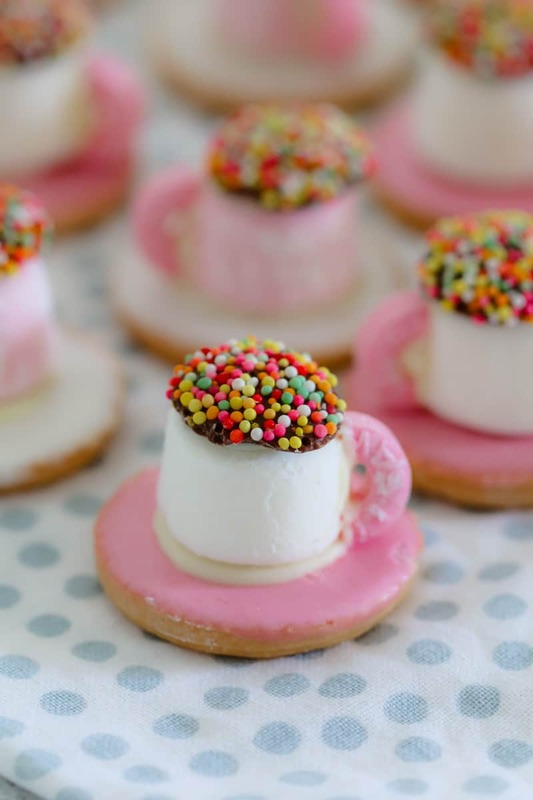 Place a small amount of melted white chocolate on top of the marhsmallows and top with a Freckle. Cut the Lifesavers in half and dip the edges into the melted chocolate. Place on the side of the marshmallows to form the handles. Allow to set completely and store in an airtight container at room temperature for up to 5 days. You will need approximately 28 marshmallows and 28 Freckles.